Thanksgiving is in 20 days!!! What’s the best turkey to buy? Organic or regular? I have been working hard to create a healthier lifestyle for my family so the question on my mind was what’s the difference? Chances are you don’t know either! Keep on reading and finding how why knowing the difference between regular vs. organic turkey is important! How are regular turkeys raised? Before we discuss the different kinds of good for you turkeys, we need to explore what exactly we are buying when we buy a regular turkey from the local grocery store. Did you know that 250 million turkeys are slaughtered every year in our country? Not only is this an astonishing number, but these bird often go through a horrific process before they end up on your plate. The males are bred to grow 3 times large than their natural build causing excessive weight gain. These poor overweight turkeys may suffer from crippling due to weight on their legs, heart problems, painful legs, and they cannot even reproduce naturally. This puts a new spin on breasts getting in the way, because that’s exactly why they cannot mount the females. I was shocked learn the majority of turkey babies comes from artificial insemination! Not only that but a shocking number of the turkeys up to 10,000 are often crowded into one structure. With only 2.5- 4 feet of total space per bird, they suffer in the dusty, badly ventilated, ammonia filled air. Sounds tasty huh? And let’s not discuss how they are jampacked into delivery trucks often dying before reaching their destinations. The list goes on and on. You can read more on the entire process here. How are regular turkeys fed? What exactly are regular turkeys fed and how do they become so large? Sadly they are forced to consumed GMO products often corn which has been spiked with antibiotics. In fact did you know that due to the large amounts of antibiotics we ingest from our food, we have become increasingly resistant to antibiotics? Have food poisoning? The antibiotic used to treat it might not work for you. Caught a staph infection? It is highly likely you are now penicillin resistant. Antibiotics we consume from farm-raised meat has long term health-effects. What does GMO stand for and why is it bad? Here’s a short explanation below. 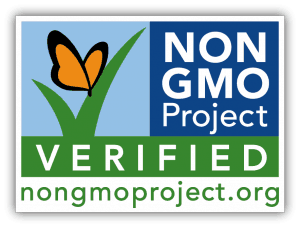 What is a non-GMO turkey? To understand what a non-gmo turkey and what’s the best turkey to buy, you must first understand the definition of gmos. GMO stands for genetically modified organisms. This term is applied when an animal or plant form has been created via the splicing of different genes together. Through this technology, different species can be spliced together. Stop and think about how many things can go wrong with this! Popular from 1996, GMOs are now generally considered so bad for your health over 60 countries including all the European Union countries, Australia, and Japan have severely restricted or banned GMOs! Some crops may contain up to 8 different genes! So why isn’t the U.S. on board? I believe the quick answer to that is greed and making a quick buck. GMO crops are generously sprayed with toxic pesticides which are harmful to us and the eco-system. Some of the herbicides are even injected directly into the soil. Even worse, the seeds may be coated with fungicide and a whopping 4 systemic insecticides before planting. All food the turkey consumes has been tested for GMOs. Possibly risky ingredients have been tested. The action threshholds and best GMO practices have been met and passed. Now what is the difference between a non-GMO turkey and an organic turkey? So what exactly is an organic turkey? The main difference between a non-GMO turkey and an organic turkey is that in addition to being fed non-GMO food, the turkey is being fed a Certified Organic Non-GMO Vegetarian Diet. Although this is totally amazing you can continue to upgrade your turkey by making sure it’s organic and free-range. What is a free-range turkey? A free-range turkey is a lucky bird. Just like the name describes this turkey is not crowded in 2.5 square feet of space, but has plenty of freedom and room for foraging. Generally the area can be 4 times more than a commercial turkey farm. Free-range turkeys are often fed a high-protein diet and their meat tends to be quite lean. You can make delicious turkey burgers, patties, turkey legs, turkey soup, bbq wings, sausage links, etc. with this versatile meat! A free-range turkey is a happy turkey. Last but not least the best turkey to buy just might be a heritage turkey. When you think of a heritage turkey, picture pioneer days with those fabulous turkey plumage seen in old-time pictures. Heritage turkeys are the best of the best, the OG of turkeys if you will! In fact heritage turkeys are protected to prevent extinction and the varieties include Bourbon Red and the Narragansett, which is the oldest known variety! 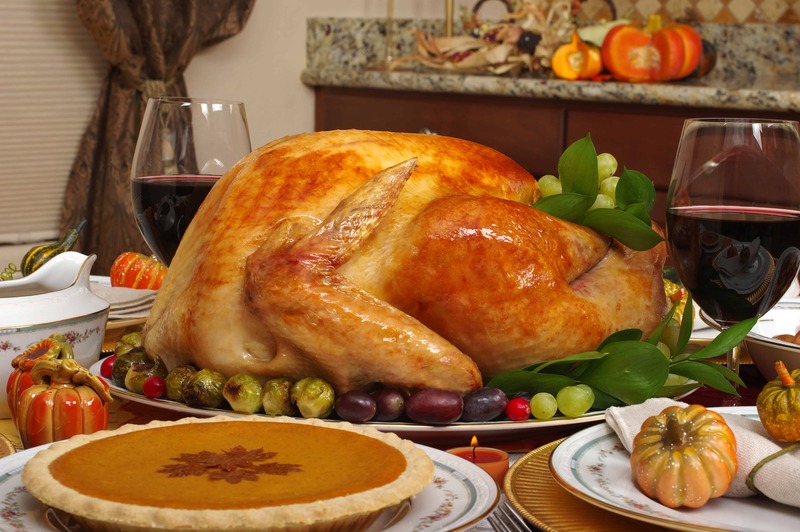 Heritage turkey meat is said to be very flavorful and delicious with an abundance of dark meat. These are turkeys fit for the king as they are fed the best of best and unlike other turkeys they can fly and have turkey babies! Because heritage turkey have a great diet and exercise this is what contributes to their meat tasting so much better! So after reading this have you decided what is the best turkey to buy? Here are your choices again if you need a reminder. So I bought my turkey before I did my research so I ended up buying an organic turkey. One thing to consider is that these turkeys tend to be more expensive per pound than regular turkeys. However the health benefits overrules the price! I mean why would I want to bite into a pesticide, antibiotic laden turkey leg? No thanks!!! Meanwhile I’m saving up for a heritage turkey for a very special occasion, maybe my 5 year anniversary? So have you decided what’s the best turkey to buy? Whatever you choose, have a very blessed Thanksgiving! Try looking for local turkeys, too! We have a few wonderful small farms where I live that sell organic, non-gmo, free-range turkeys. The price per pound is usually on par with what you get at the grocery store, but your money stays local and you get a much happier and tastier bird! Thanks for sharing! Yes, I bought my organic turkey at a local natural food store this year, that’s actually why I became interested in writing about it. Will have to keep that in mind for next year or I might raise a few of my own lol. I agree with trying to buy a turkey from a local farmer! We try to buy all of our meat from local organic farmers for many different reasons… But I have found that the quality and taste is WAY better than anything I’ve ever bought in a store! Thanks a lot for detailed description of all kind of turkeys available in the shops. It explains also different price labels for each category. I had no idea as I have never bought one. My mother in law has always turkeys for us to take. I am sure they are the best. Does she raise her own turkeys? If so that is awesome! Yes I don’t know if you can get a heritage turkey there, I know you can for sure order them online though! Yum enjoy and well done! I’m so glad it helped you it was enjoyable doing the research! If only we could go back to the good ole days when food wasn’t so complicated. We are mostly plant based at our house but on the rare occasion that we decide to eat meat, it is always organic! Good for you!!! You are way ahead of the average American!! !